It seems security is on everyone’s mind these days. Living in gated community can offer an extra layer of comfort to those concerned. 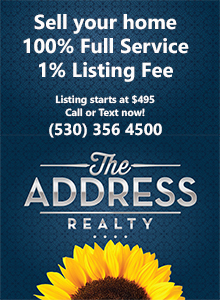 There are not a lot of gated communities in Redding and the greater Shasta region. Here’s a rundown of some of our local gated real estate choices. A typical Tierra Heights home. Tuscany Villa is a good choice. These are all new. The clubhouse has yet to be built however. There are few others. Tuscan Gardens is a small community of very nice newer homes. Nothing is listed for sale there currently. Although older, Paris Park can be a good choice. Nothing is currently for sale there either. There is a very small community called Memory Park where a builder is currently building a very few new homes among some older ones. It’s really only a single street. That’s just about it for gated communities around here. I also have a very secure and visually stunning gated estate setting listed for sale. We hope you found this helpful. Let us know if we can answer any questions about these choices, or if you’d like to see anything in person. Thanks for reading! This entry was posted in Gated and tagged Gated on November 29, 2015 by Skip@RHB.